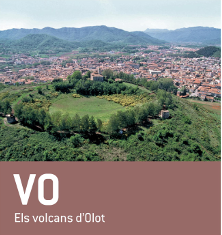 Volcano located in the centre of the city of Olot between the volcanoes of Montolivet and La Garrinada. Volcanic cone with circular central crater, 120 m in diameter and of great scientific and educational interest, and quarries that were closed down in the 1960s. The church of Sant Francesc, rebuilt in 1875, on top of the volcano. The two watchtowers built during the Carline wars (second half of the 19th century) are excellent viewing points over Olot and the volcanic zone. 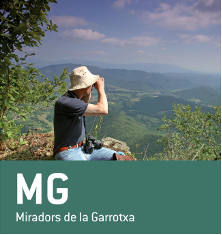 Access: From Parc Nou follow Natural Park Itinerary 17 (5 km), wich passes through Olot and takes around 50 minutes to reach the crater. Access is also possible from the car-park at the cementery by following Itinerary 17 for around 400 m (25 min) or from the city's Tourist Information Office (45 min). People with mobility difficulties who need to access the Montsacopa volcano by vehicle must request authorization by email to [email protected] a few days in advance. 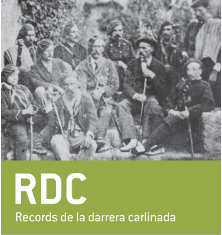 More information: 972 26 01 41 (Tourist Office of Olot).